You should already know flat peyote before starting. 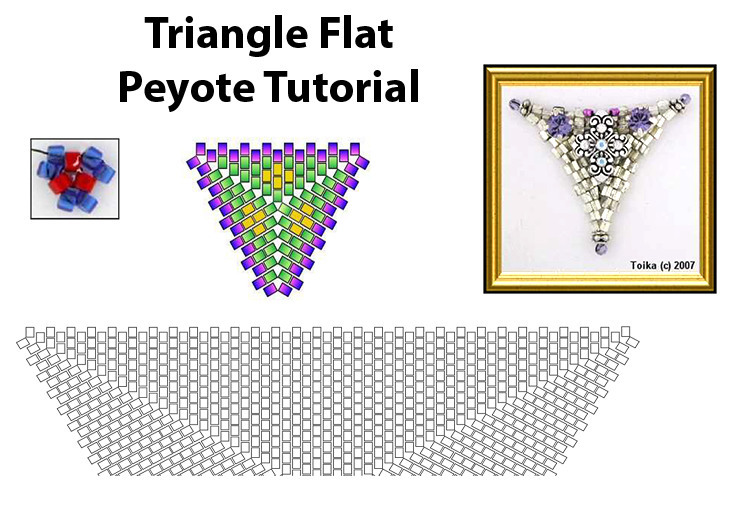 Triangle peyote is easy, and creates the most perfect geometric designs. It hums along in unity. This is not 3 pieces of peyote. It is all done at once. Earrings, pendants, bracelets, boxes, ornaments, and more can be created. Stitch Instructions; Step-by-Step with photos and diagrams: The Foundation of all Things Possible. scale showing the actaul size of 12 rows of Triangle Flat Peyote in size 11/0 Delicas. Beads Used: Almost any beads.